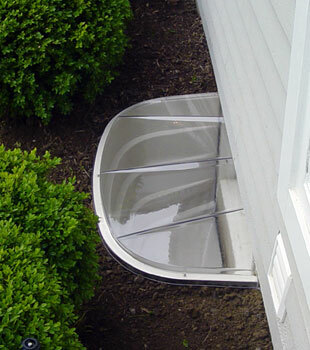 SunHouse™ Basement Window Wells consists of a inert UV-resistant plastic window well and clear polyurethane cover. 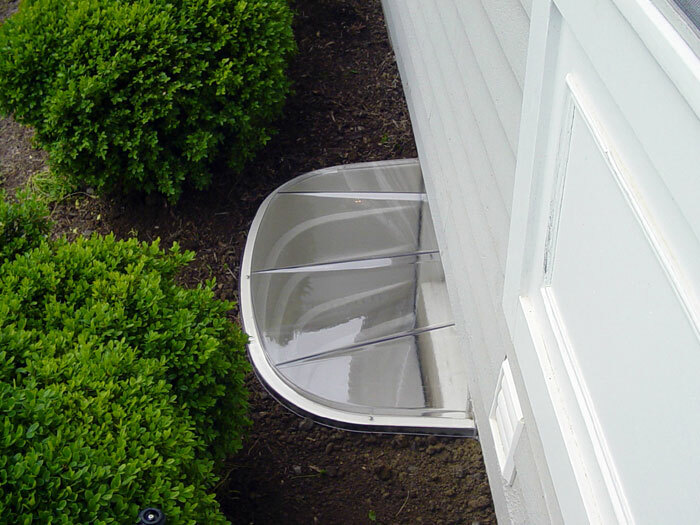 Built to last, our window well system provides a bright, clean, attractive solution that keeps rain out, prevents weeds from growing inside, and protects your basement windows from being buffeted by cold winds during winter months. 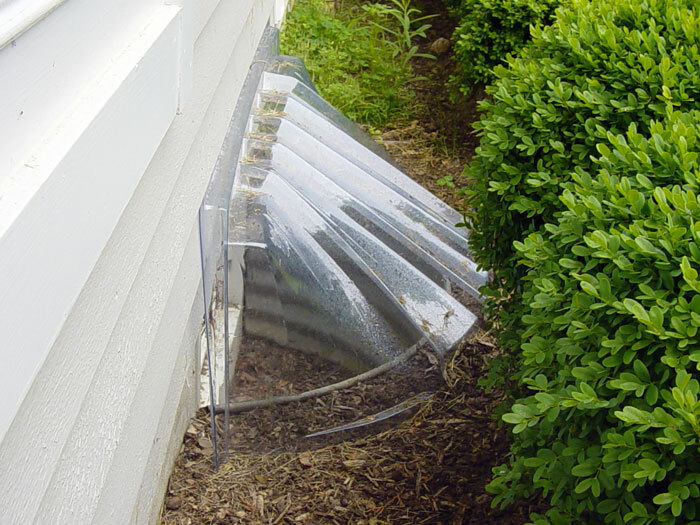 The clear plastic lid and sloped design of the SunHouse™ System is specifically engineered to maximize the available light in your basement by reflecting it through your basement windows. 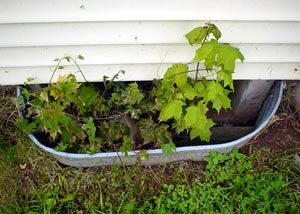 A solid bottom prevents weeds from growing and keeps the inside clean and beautiful. Your local Basement Systems Dealer will be able to provide you with our full selection of basement products -- including many that are perfect for upgrading your basement windows! To schedule a free, no-obligation basement quote for our window well system or any other product we offer, contact us by phone or e-mail today! 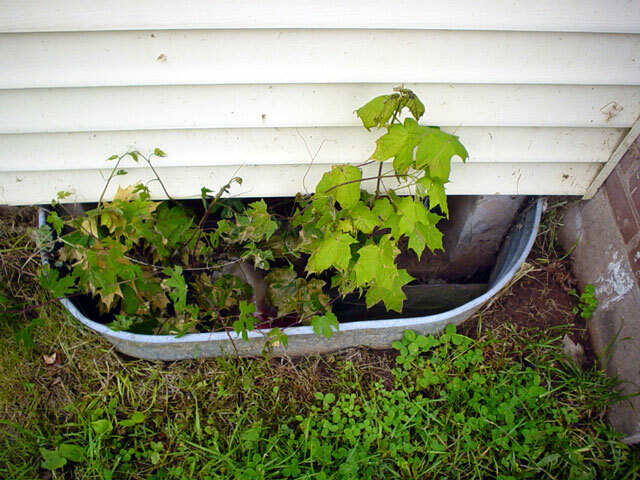 Open, metal basement window wells can rust and corrode, while their open design collects leaves and debris. And as snow and rain builds up in the wells, it can leak through the windows and into your basement. If you look out your basement windows and see leaves, weeds, and an ugly, corroded basement window well, then why have the windows at all? 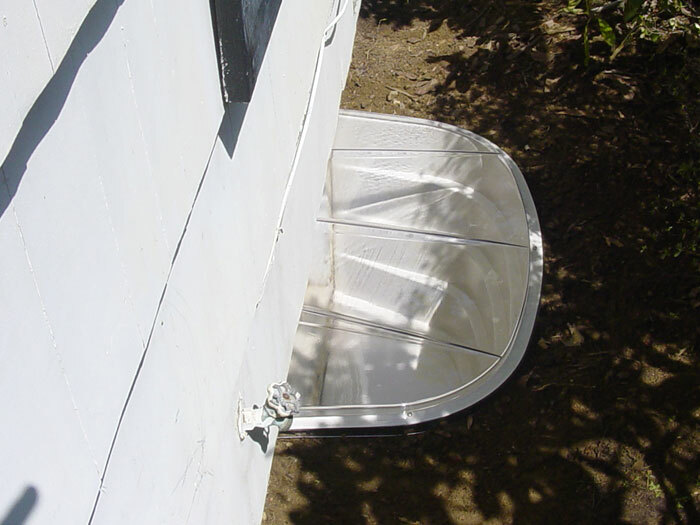 Our SunHouse™ System is provided complete with a plastic bottom, clear polyurethane cover, and a UV resistant base that maximizes light and keeps your basement beautiful! Typical basement windows are designed with a steel frame and a single pane of glass. When they're buffeted by wind during the cold months, you can lose a lot of energy through old, outdated windows! Our SunHouse™ Window Well System protects your basement windows with its clear cover, creating a less drafty (and more energy efficient) basement! 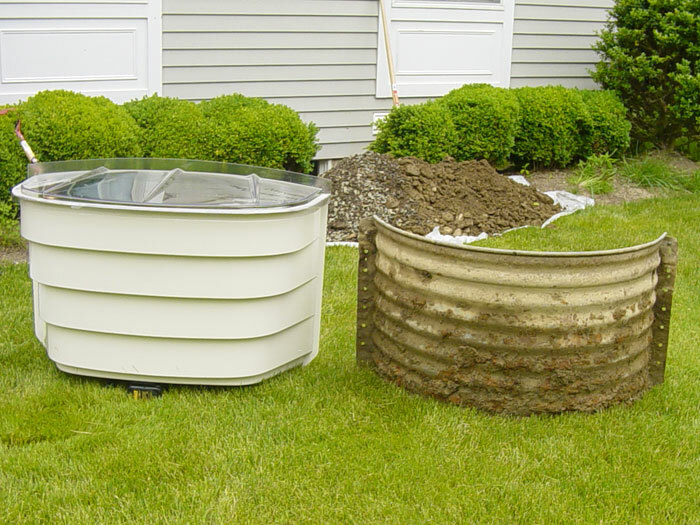 Shallow 16" 40" 19" Flat 2" 40" 19"
Deep 23" 40" 19" Domed 8" 40" 19"
Add Beauty And Value To Your Home With Our Window Well System! Our SunHouse™ Basement Window Wells are a great way to add beauty, comfort, and value to your finished basement. Once installed, you can expect to enjoy your new windows for many, many years to come. Our authorized Basement Systems Dealers provide free, no-obligation basement window upgrade quotes throughout Canada, the United States, and Canada. There's a locally owned and operated dealership serving in your neighborhood! Each free quote includes a professional, on-site inspection and measurement, an expert consultation, where all your questions are answered, and a written cost quote. As a complimentary gift, we'll also send you a copy of our full-color basement book -- which is packed with information about basement spaces, as well as our products and services.